John Marshall Gamble, A Spring Morning. 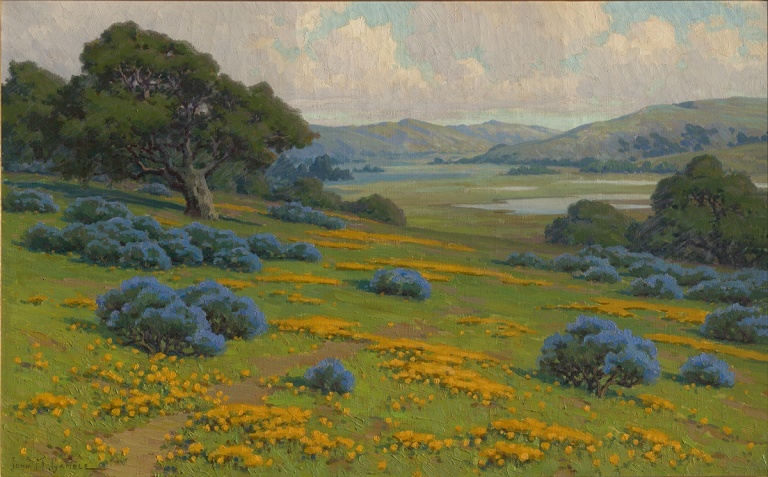 Poppies and Bush Lupine, circa 1915. Oil on canvas, 24 x 40 in. Crocker Art Museum, Wendy Willrich Collection. 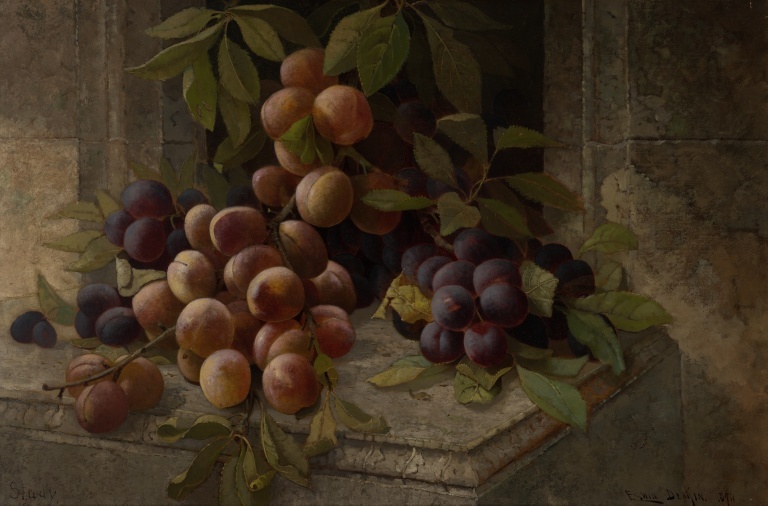 Edwin Deakin, Still Life of Plums. 1894. Oil on canvas, 16 x 24 in. Wendy Willrich Collection. 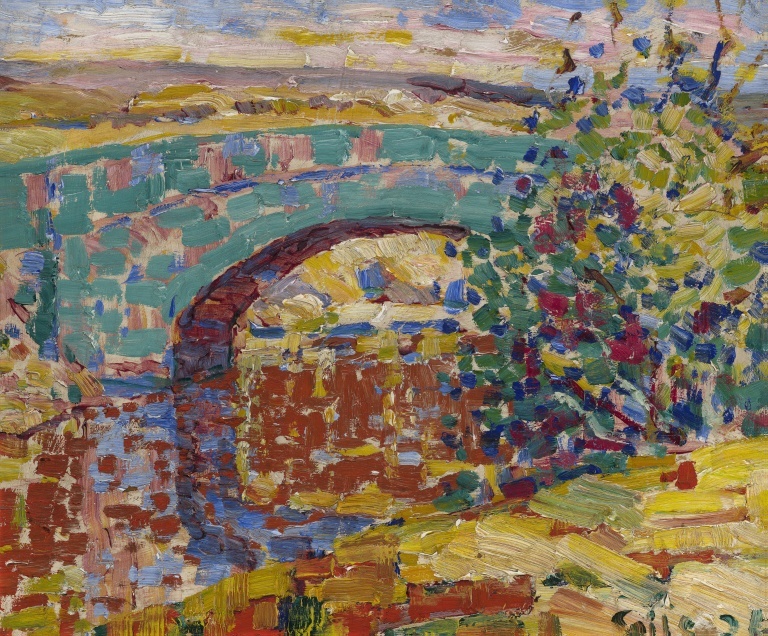 Selden Connor Gile, Desert Bridge/Holbrook. circa 1926. Oil on board, 14 x 17 in. Wendy Willrich Collection. 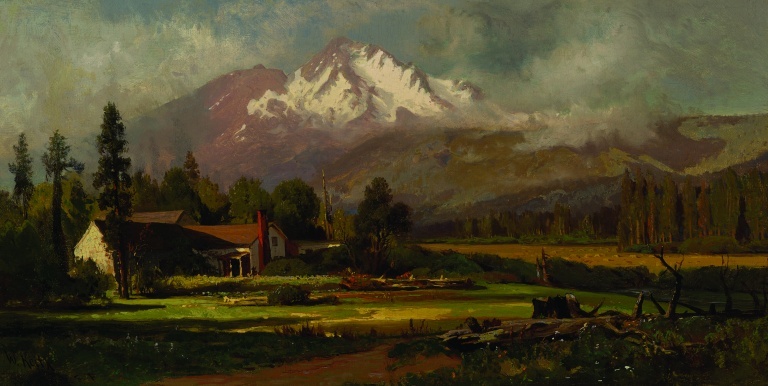 William Keith, Mount Shasta from Sisson's. circa 1878. Oil on canvas, 12 x 23 1/2 in. Wendy Willrich Collection. 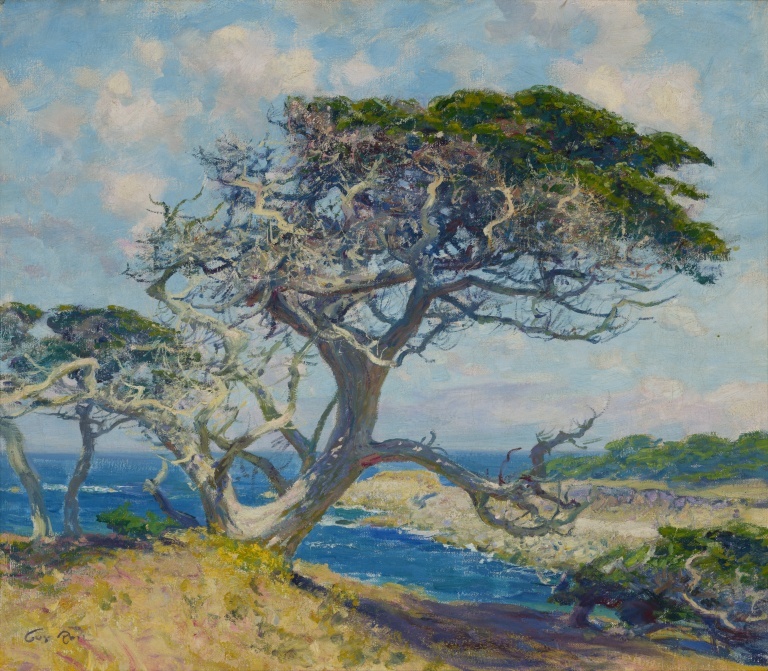 Guy Rose, Monterey Cypress. circa 1918. Oil on canvas, 21 1/8 x 24 in. Crocker Art Museum, Wendy Willrich Collection. Marion Kavanagh Wachtel, Silent Stream. circa 1915. Watercolor on paper, 12 x 15 1/2 in. Wendy Willrich Collection. Bay Area art collector Wendy Willrich recently decided that the Crocker Art Museum should become the ultimate home for her collection of 41 early California paintings. The gift is transformative, and will contribute immensely to the Museum's unparalleled display of California art. 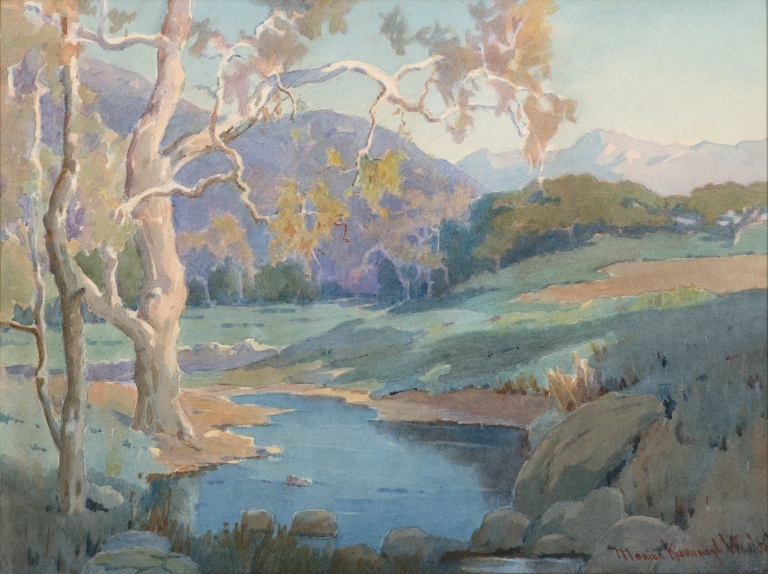 Ranging in date from the 1870s through the 1940s, the collection begins with images of California’s majestic Sierra Nevada scenery in the style popularized by the East Coast’s Hudson School, and continues with quieter Barbizon-inspired and Tonalist landscapes in watercolor and oil. These, in turn, give way to plein-air Impressionist and Post-Impressionist scenes of mountains, desert, and sea. This exhibition is ongoing.